Mark Twain: born on 30 November 1835 with Sun in Sagittarius, Moon in Aries and Ascendant in Scorpio. 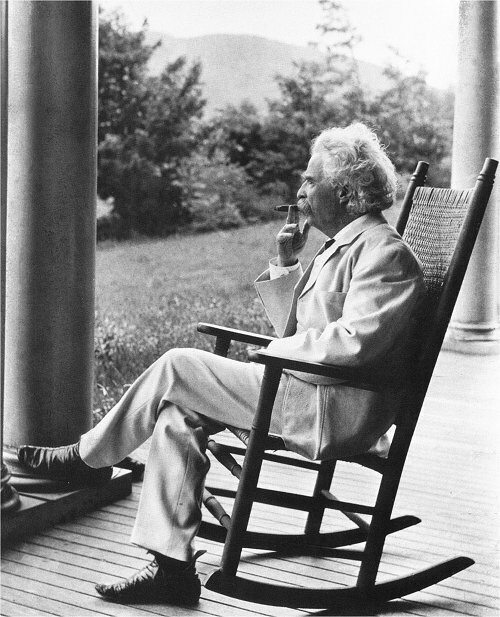 Samuel Langhorne Clemens, better known as Mark Twain, was probably the most popular American celebrity of his time and a major juggler between ordinary and non-ordinary reality. In addition to Mark Twain, Clemens also used the pseudonym "Sieur Louis de Conte" or no name at all, leaving a veil of mystery regarding the paternity of some of his works. He is the author of the The Adventures of Tom Sawyer, The Prince and the Pauper, A Connecticut Yankee in King Arthur's Court and the non-fictional Life on the Mississippi. Many of his works were rather controversal and didn’t make it through the ordinary reality, being suppressed or delayed for various reasons. One of these was the transcript of a talk at the Stomach Club in Paris entitled Some Thoughts on the Science of Onanism (masturbation), which concluded with the thought "If you must gamble your lives sexually, don't play a lone hand too much." The level of ordinary and non-ordinary interference in his life was such that his obituary was published erroneously in the New York Journal, to which Twain famously responded: "The reports of my death are greatly exaggerated".